Lyndsay Faye a former actress is the author of Dust and Shadow: an Account of the Ripper Killings by Dr. John H. Watson. 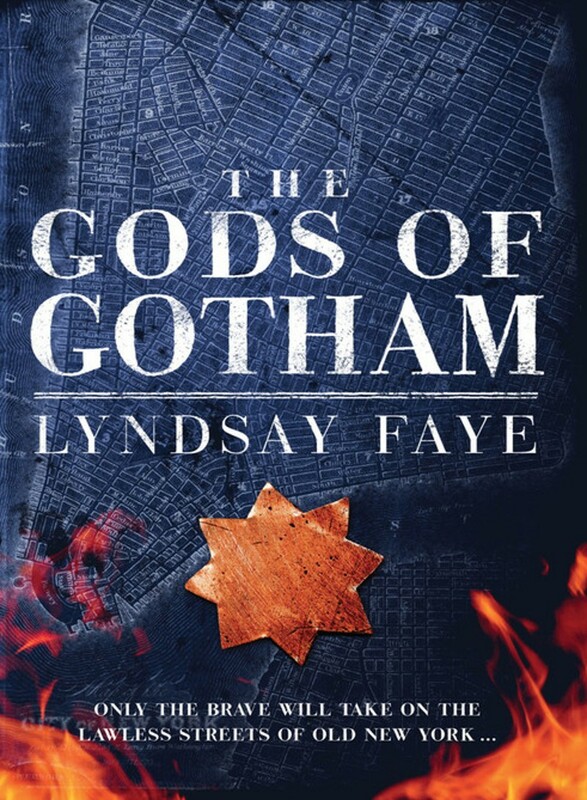 Her latest book, The Gods of Gotham has been described as The Alienist meets Gangs of New York and has received rave reviews from such authors as Michael Connelly, Matthew Pearl, Laurie R King, Otto Penzler, Alafair Burke and Caleb Carr. 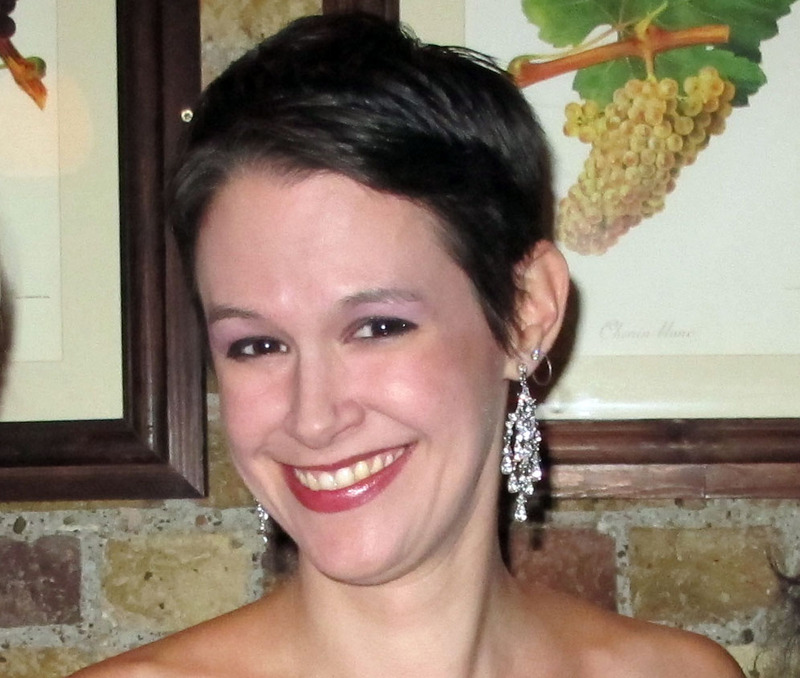 A board member of the New York Chapter of the Mystery Writers of America, Lyndsay lives in Manhattan with her husband and her cats. What inspired you to write Gods of Gotham? A combination of factors were at work. First off, I had this strange image in my head from out of nowhere of a little girl running for her life through dark streets, covered in blood that wasn’t her own. I didn’t know who she was going to become or what had happened to her, but I thought the picture was rather riveting. And eventually, that little girl became Bird Daly, who sets the whole story in motion. In addition, I wanted to tell the story of the very first policemen because origin tales fascinate me. There’s something so mythical about the NYPD—it’s one of the most famous law enforcement bodies in the world today. How did it begin? What did it look like in the days before forensics, when no one had any notion of what they were doing? I wanted to read that book, so I ended up writing it. And lastly, at the time I was penning GOTHAM—and even still—there was a lot of ugly talk about perfectly nice Muslim Americans happening in our media. The Catholics who fled their homeland in search of a better life here were roundly denounced as un-American, even anti-American, a cult of religious zealots who would ruin the nation. Every new immigrant group is forced to struggle to find a place for themselves, and the massive influx of Irish in the nineteenth century would help shape American history. I thought it was a topic worth revisiting. First I spend about six months researching my topic. Newspapers, diaries, old plays and satires, slang dictionaries, whatever I can get my hands on that’s visceral and intriguing. Getting the feel of the vernacular in my head is very important to me, so I divide my time between histories that outline the world for me and original documents in the voices of people living during that period. Then I lock myself in my apartment like some sort of crazed hermit for about four or five months and write the thing. There is no outline. But I do have what I call tent poles—scenes and events that I know have to take place in the plot. I write those first. For instance, there’s a key scene between Timothy and his brother Valentine that takes place in chapter twenty-two that I wrote on the first day. As for the middle bits, I never know quite how events are going to flow, but as my characters grow and develop, they end up dictating what comes next. When the manuscript is finally finished, I weep with relief and then get to editing. Writing is rewriting. What made you decide to set Gods of Gotham in New York City? I live in Manhattan and its police force fascinated me. Day one, cop one of the NYPD was always my plan. In addition, New York during the mid-nineteenth century was a place of tremendous social turmoil, class warfare…avarice and greed and heroism and bravery and skullduggery. Everything about it was dramatic and I used to be an actor—it made sense to set a novel there. Could you explain your fascination with Sherlock Holmes? Where did this begin? I gather that you are also a member of The Baker Street Irregulars and the Adventuresses of Sherlock Holmes. I never stopped reading them. Some people read the Sherlock Holmes mysteries for the adventure and the atmosphere and fail to pick them up again. But for those of us who adore the characters, the series as a whole is a gorgeous portrait of a friendship over the course of four decades, through death and mayhem and stolen submarine plans and deadly swamp adders and all that was wonderful and terrible about the Victorian era. I’ve been a member of the Adventuresses for longest—we’re a real social club, meeting monthly to share a drink and a chat at an Irish pub. I’m still shocked to be an invested Baker Street Irregular (any club that includes Neil Gaiman and Isaac Asimov on the roster is pretty fair company), but I hugely enjoy them and their yearly bash. Recently, I’m also a member of the Baker Street Babes, which is a fabulous all-female Sherlockian podcast. We all have a lovely time together. Your first book was a Sherlock Holmes pastiche with a great many true crime elements. Was the research for GODS OF GOTHAM easier or more difficult than researching Jack the Ripper’s crimes for DUST AND SHADOW? To an enormous extent, the research for my first novel was easier; hundreds of books have been devoted to the Ripper and his murders, and I even consulted with Ripperologists who helped me to keep my facts straight. In addition, the Ripper’s crimes were linear and established—they in essence provided the structure of the novel for me. On the contrary, with GOTHAM, I needed to spend a lot of time seeking out day-in-the-life accounts of early police officers. Plenty of sources told me the dry facts of when and how the copper stars were formed, but discovering what they actually did on their shifts, the techniques they used, the sorts of criminals they were dealing with…that was quite elusive. Eventually I found a diary at the New York Historical Society. But the literature and original sources about the 1840s NYPD was difficult to track down. Timothy Wilde is a very different narrator than John Watson. How did his style evolve? I’m a vocabulary nut, and people in the nineteenth century used very colorful language, so his style is quite ecstatic in places—he grew up on a Shakespeare diet as I did, so in the word usage sense there are ways Tim’s style is rather flowery. And he’s a romantic at heart, so there are shades of poetry in some of his expressions. But he also speaks in a lot of short declaratives and fragments. I wanted to ensure that despite the use of slang, he’d be easy to understand. The short, choppy sentences and the simple sentence structures help with that, I think, and they give a noir-ish “cop” flavor to the narrative. In addition, I had a great time with the fact that despite his keen eye, Timothy is a very unreliable narrator. His impressions of his brother, of Mercy Underhill, of himself…they are so skewed by his own blind spots that you really can’t trust a word he says. I understand that you are working on the sequel to Gods of Gotham, could you give us a bit of background to it? The sequel is coming right along! It is set six months later, in the winter of 1846. And in it, I do more terrible, terrible things to Timothy and Valentine Wilde.